There are 5 weeks until Christmas. 5! I’m quite impressed with myself that I have bought one present, as usually I’m that mad woman running down Oxford Street on Christmas Eve trying frantically to think of ideas. However one thing I always plan for in plenty of time is the Christmas parties. Working both as a blogger and in a “normal” nine to five job means I get invited to lots of parties, which is awesome. Like most people I’ll have my outfits sorted in advance, and a fresh set of makeup looks all ready to go, however one thing I’m huge on is what I call the foundations for getting ready. You how the fundamentals; brushing your teeth, cleansing and hydrating your skin. Whilst pretty much every person does this, I’ve always been a stickler for making sure this is top notch. Without getting the fundamentals right, you’ll never feel 100% with your Christmas party outfit, as no matter how on point your highlighter is, if your skin is dull and lifeless, you’ll still see that. 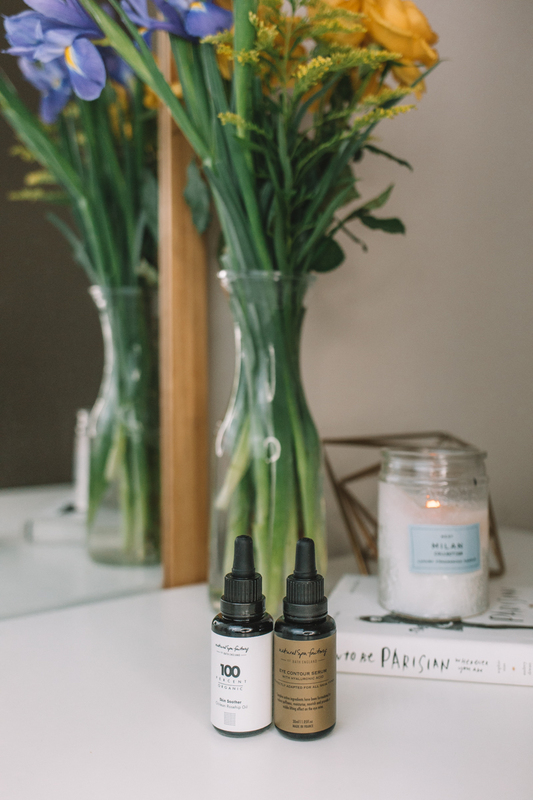 This last month has been pretty hectic and stressful for me, so I’ve really been upping the TLC factor when it comes to my beauty regime, so here my secret weapons to get the perfect base ready for those Christmas parties. Keeping your skin clean, healthy and hydrated should be your number one beauty priority. A buildup of dirt, bacteria, pollution and makeup cause skin to dry up, look dull and lifeless and can speed up fine lines and wrinkles. I don’t know about you but trying to get everything off at the end of the day feels like such a chore. I feel like I sometimes have to double cleanse just to feel squeaky clean. Which is why I think there's been lots of talk about electronic cleansing tools this last year as getting everyday grime off if a universal problem and one people seem to be realising more. I think they are a great way to take your skin care to the next level. It’s almost like bringing some of that salon quality cleaning to your own bathroom. I’ve chosen the Philips VisaPure Advanced 2-in-1 device as the cleansing brush attachment has these super soft bristles which means that it doesn't scratch the skin as it cleans. Actually by using it for 1 minute it is 10 times more effective at cleansing than cleaning by hand*. 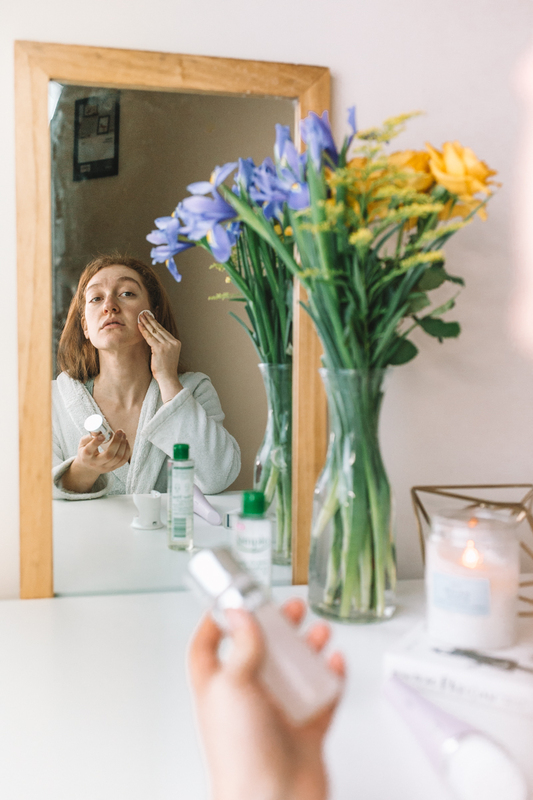 Using the brush to really get everything cleaned off after removing makeup actually ensures that you are getting the best results out of your creams and serums, as it improves the absorption rate into the skin. Think about it, if there's traces of makeup still left on your skin, then thats a barrier against your serums. 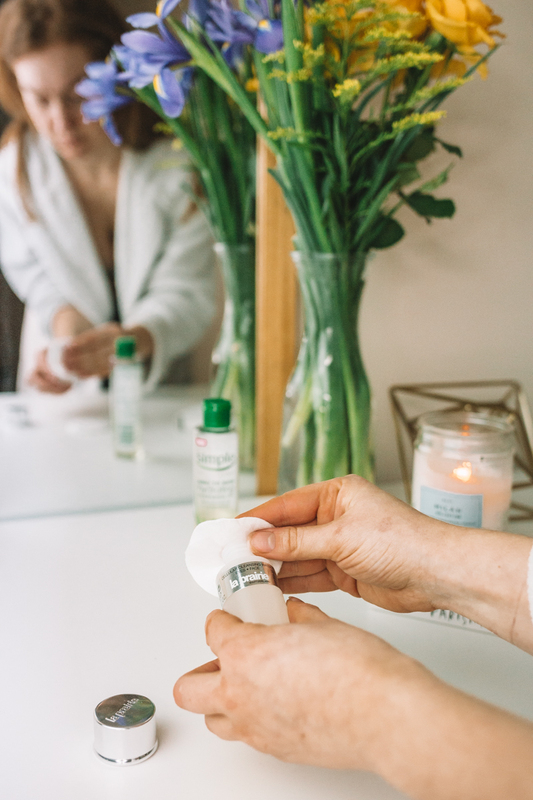 You use the brush with your favourite cleanser- I’m loving the Simple oil cleaner as it’s doesn’t irritate my skin and the oil base feels like it just strips away the grime. 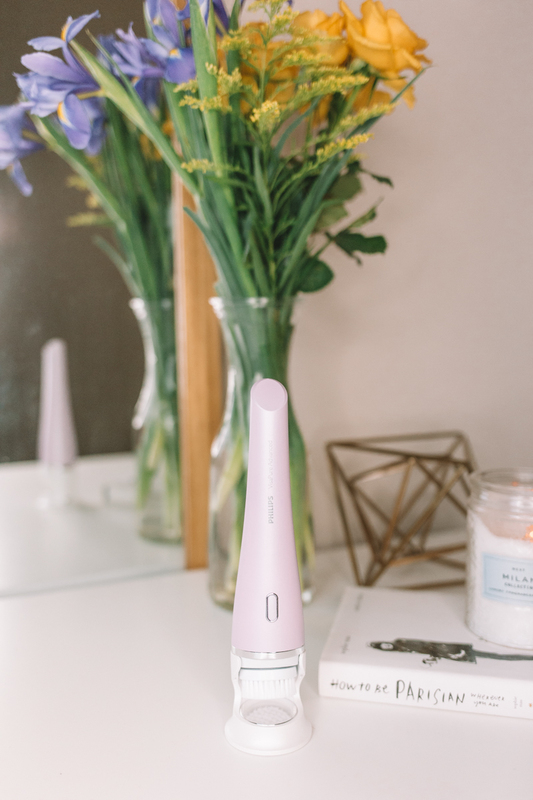 But what I love about this product, is that it has a second massage attachment for revitalising based on Japanese facial massage technique, Petrissage. This increases blood circulation and relaxes the muscles, which help reduce puffiness and the look of tired skin. I mean who doesn't love a massage? I actually sit on the sofa and use it to de-stress after work! Black Friday is coming up this Friday which is always a fun time to get all those beauty products, electricals and clothes ahead of Christmas. Philips are having a huge Black Friday sale and the VisaPure Advanced 2-in-1 is on sale. It normally retails for RRP £187.99 but this Black Friday weekend you can get it on the Philips website during the sale for £112, saving you 40% here. I’d even say at that discount it would make a great Christmas present. However of course you can’t use it over your eyes, so I finish my cleanse by using a gentle eye cleanser and cotton pads. I can’t get enough of La Prairie Cellular cleansing water for eyes and face. I love it as makes my skin feel so soft and helps to improve its water-retention, which means my skin naturally retains moisture, staying more hydrated. Finally I layer up my serums. 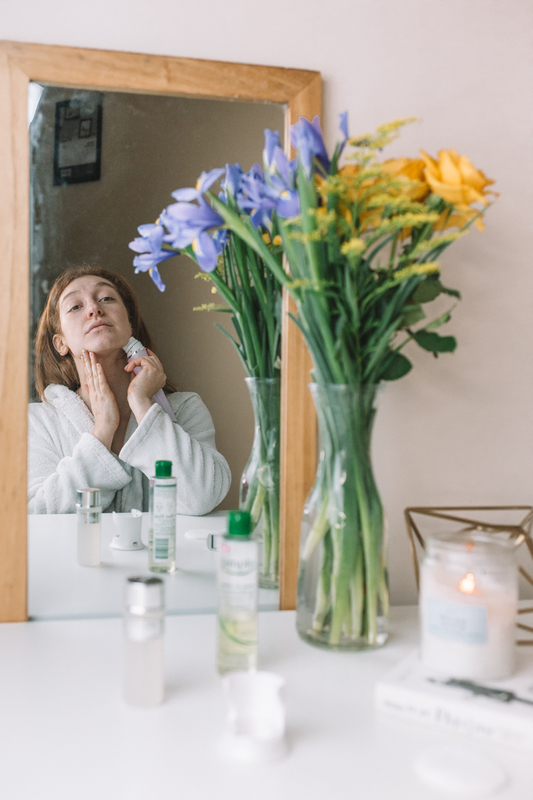 After a deep cleanse I like to make sure my skin feels recovered and soothed, so I’ve been using Natural Spa Factory’s Skin Soother with Chilean Rosehip Oil. It honestly is so silky and thick, that it just soaks straight in. Also if you put it in the fridge before applying, boy does it make your skin feel alive! I’ve really felt like my skin is much softer since using it. But not only that, I use their new Eye Contour Serum with Hyaluronic Acid. This is actually from their new Christmas party range as it is designed to reduce visible puffiness and have a lifting effect on the eyes, which is just what you need after one too many late nights! Oh and it’s got gold glitter in it so that's always a winner with me. But skin care isn’t the only thing I prep for when getting ready for parties. Teeth are a huge visual aspect of facial appearance and with all the photos that get taken I’m super conscious of how they look. I recently visited my Dentist for a check up and whilst my teeth are all in good order, he did say that I do brush too hard and that I should really think about swapping to an electric brush to avoid doing that. So I’ve upgraded to the new Philips Sonicare DiamondClean Deep Clean electric brush. It has an AdaptiveClean brush head which removes up to 10 times more plaque in those hard to reach areas vs my old manual toothbrush. My teeth are coming out so much more cleaner, and whiter than before. 5) DeepClean – three minute mode for an effortless deep clean- maybe helping remove all that extra red wine stains for Christmas dinner? And you know what else? It holds it’s charge up to 3 weeks which is pretty darn good, as I personally hate faffing around with chargers. Oh and guess what, this is also in the Philips Black Friday Sale. The Philips Sonicare DiamondClean Deep Clean is available at Philips.co.uk for £299 but today it's now down to £105 so I’d go grab it now. But you know what else my dentist is really big on? Flossing. He raves and raves about it. But I hate it. I have always cut my gums and it hurts like hell. I hate floss. If you are like me, then oh boy do I need to tell you about my secret to round that! 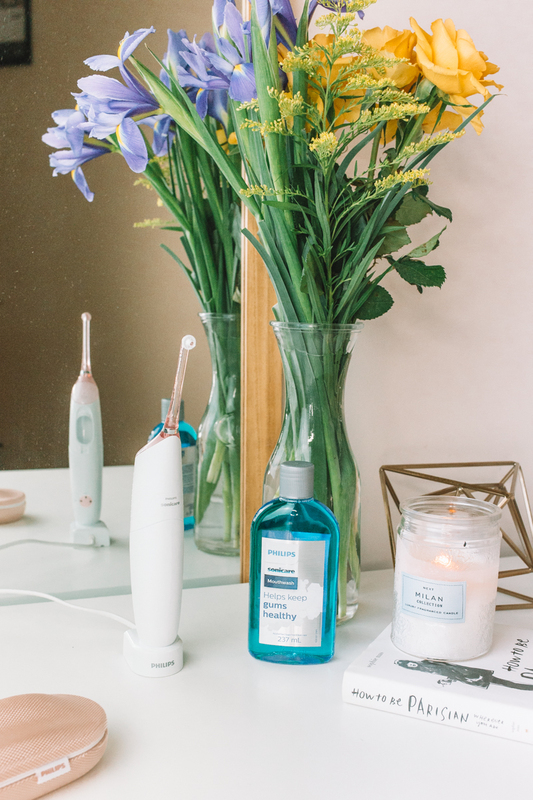 Say hello to the Philips AirFloss Pro. It’s flossing but without the horrible thread. You use either mouthwash or water and it shoots a powerful but fine jet between your teeth, getting rid of plaque and bacteria that brushing can't reach. It’s also great for everyday before work as it only takes 60 seconds to complete. 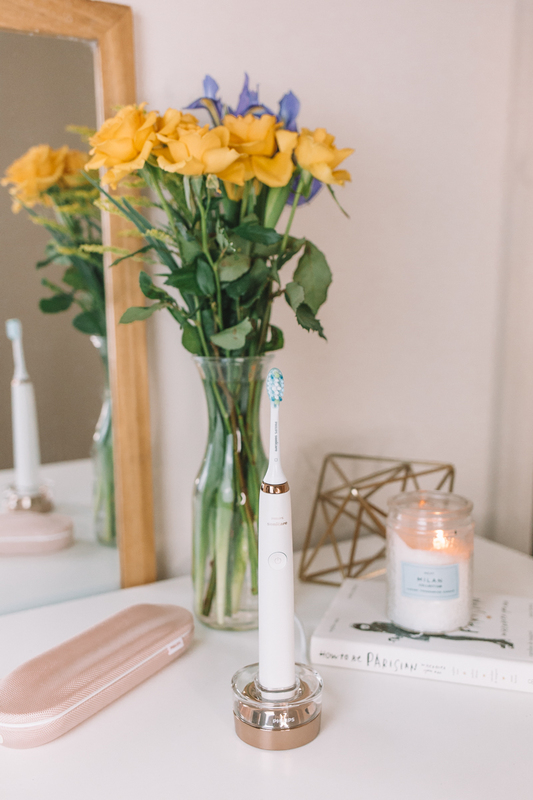 I’ve never been keen on the idea of whitening my teeth as I’m so scared to damage them, so personally I think using the right tools is the best thing you can do to make your teeth beautiful and white. But need any more reasons? This amazing tool is also in the sale! Can we call it Black Fri-Yay sales? It was £165.00 but is will be available for £99 on Tuesday 21st November for one day only, saving you 40%. Christmas party season can be an expensive time with all the new clothes and beauty products, so I’d definitely recommend checking out the black friday sales on the Philips electricals as money saved there is extra money at the party bar! I literally swear by the Sonicare toothbrush, it's actually life changing!